Second Chances Consignment Shoppe was opened in the heart of Spencerport during the summer of 2010. The shop was then relocated to 5247 W Ridge Rd in the town of Parma. 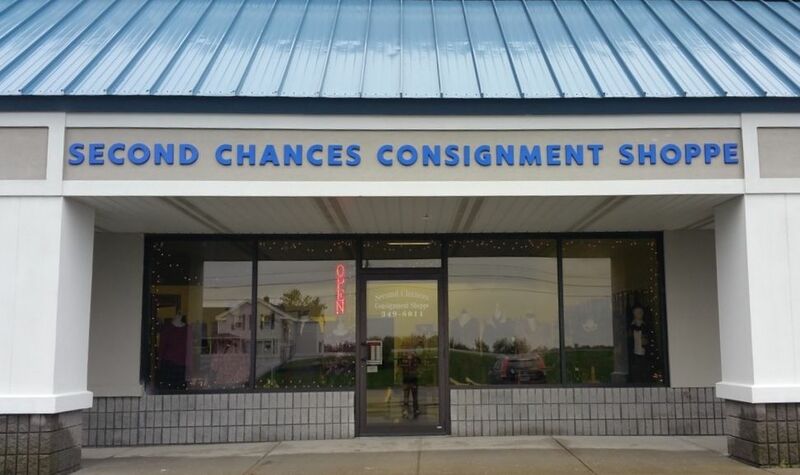 ​Being just 3 miles from our old location, we are one mile west of Rt 259 on Rt 104 in the Parma Commons Plaza and just 20 minutes from downtown Rochester, Second Chances Consignment Shoppe is of easy access to the local community. While possessing a larger building with ample parking available, our customers will find a relaxing atmosphere and an enjoyable shopping experience. ​We provide an immense selection of new and gently used merchandise, all of which are carefully hand-picked and set at affordable prices. With friendly service and a smile, our employees will be of assistance at all times. You'll find a clean and comfortable boutique style atmosphere to make your money-saving shopping adventure a pleasant one. Shopping second-hand not only supports our environment, but it also keeps money in our communities and in your wallet! Shop often as items consistently fill the racks and you never know what great bargain you might find!